ALLEGRA BOVERMAN/Staff photo. Gloucester Daily Times. 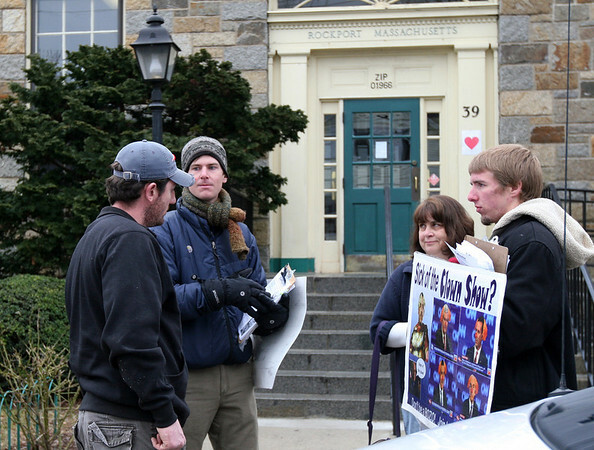 Rockport: Supporters of Lyndon H. LaRouche Jr. were demonstrating in front of the Rockport Post Office on Wednesday. Resident Kathy Gregg. second from right, let them know she was very offended by and "vehemently object to" the images on the posters they were showing.